We specialize in providing BASF Chemicals Construction Products materials. We're a full-line distributor stocking all types of BASF Coatings and BASF Chemical lines including Chemrex, Emaco, Hydrozo, MB, MBT, Sonolastic, Sonneborn, Thoro, Ucrete and more. We ship worldwide and can handle all shipping logistics for you. Popular BASF products include Sonoguard Deckcoatings, Sonolastic NP1, NP2, SL1 & SL2, Sonolastic 150 VLM, Sonolastic Clear 25, TX1 (textured). Categories of BASF items include expansion joint sealant, concrete expansion joints are sealed with self leveling expansion joint sealants. Sonneborn SL1 / SL2 and Novalink SL are most popular. tiles, roof penetrations, deck joints, parapet walls, etc. UL Fire Rated product. Pre-tinted in 12 standard colors. Paintable. Can be used underwater (apply when dry). etc. 40 standard tints and 470 custom colors. pre-colored. Use in expansion joints 3/4" and narrower. SL2 Tintable self leveling expansion joint sealant. Two-part (must be mixed with tint package). 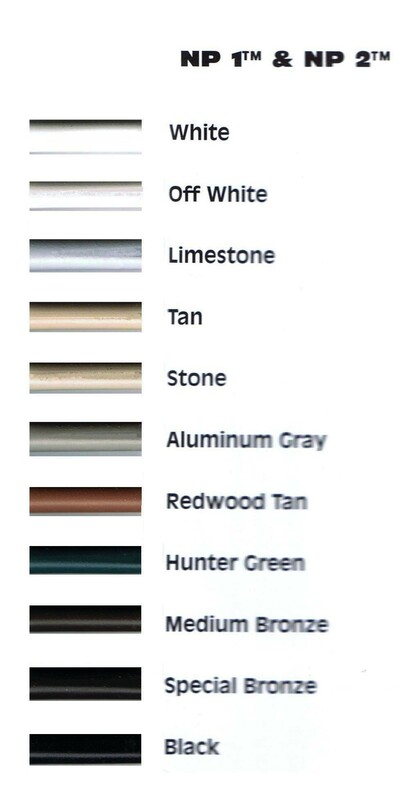 Available in 40 standard tints and 470 custom colors. Recommended for expansion joints up to 2" wide. For very high-expansion joints and extreme performance. glass. Easy to apply and tool. Quick curing. Pre-tinted in 12 standard colors. Paintable. windows. Not recommended indoors (solvent odor). TX1 Textured. Its NP-1 chemistry and cures like grout or stucco. needed. Pre-tinted in 12 colors. Paintable. chicken processing areas. Great pool wall to deck sealant. Stocked in white and limestone colors. Paintable. Caulking Guns (Quality caulking guns at great prices). Caulk Extension Tube (Reach-It Flexible Caulk Extension Tube). expansion joint covers, and straight flange expansion joint covers). Putty Knifes (Joint finish tools, taping knives). For very high-movement applications, difficult environments or the best performance we recommend Sonolastic 150 VLM sealant. Its advanced hybrid sealant chemistry provides superior adhesion to glass, wood, all roofing materials, swimming pool deck/wall joints and has a 25 year life expectancy. A great translucent-clear, non-staining sealant for glass & window, tile, siding, car windows and structural adhesive applications, use Sonolastic Clear 25. It is used throughout in the automotive industry for window glass installation, trim adhesive and for general sealing. With good UV resistance and strength, it is also widely used as a roof tile adhesive and as a snow-guard adhesive. NP1 is a very popular solution for most construction caulking and structural sealant applications. It has superior adhesion and is suitable for +/-35% total joint expansion applications such as window frames, roofing tile, panel walls, parapets, vinyl siding, stucco, and in deck joints. Novalink SL Self Leveling concrete expansion joint sealant is 100% solids (non-shrinking), solvent free (very low order on cure, suitable for indoors), quick curing (can apply down to -32F), and very cost effective. 300% elongation, 150 PSI tensile, abrasion resistant (pedestrian traffic suitable). Its a easy to use single-component product useful for joints up to 2" wide. Novalink is aged asphalt compatible. SL1 and SL2 are great concrete expansion joint sealants and are used for public walkways, driveways, swimming pool decks, road expansion joints parking lot joints, pavement joints, driveway expansion joints, road joints, exterior deck expansion joints and such. SL2 is used for wide joints and is tintable. SL1/SL2 are not asphalt compatible. Sonomeric 1 is a single component self-leveling polyurethane sealant which is Jet fuel and resistant to many chemicals. It features exceptional weather resistance. Used for airport runways, highways, bridges, stadiums, industrial floors. For above water line pool deck-to-wall grout repairs, ULTRA is excellent. This sealant survives the stresses that cause mortar grout cracking. Ultra has excellent dirt pick-up resistance. Dirt and hard-water pool deposits are easily removed! NOTE: It is very important to keep the pool wall-to-deck interface waterproofed, as constant chemical and water exposure quickly corrodes the steel re-bar, resulting in structural damage. M-1 can be applied for in wet emergency repairs (resetting / re-grouting tiles) and will cure quickly. Where substrate adhesion is questionable, or in constant submersion situations, primers should be used. Primer-733 is an easy to use one-component solvent based sealant primer for use with urethane sealants applied to metal, wood and coated surfaces. Primer-2000 is easy to use one-component solvent based sealant-primer for use with Sonolastic 150 / polyether sealants applied to porous surfaces, concrete, grout, stucco and wood. For TPO roofing, TPO PRIMER is recommended. A favorite of many deck waterproofing contractors is Polyprime 2180. Its a 2-part epoxy-polyamine primer. For a easy to use on-component wood & concrete primer, try Primer-772. UNI-TILE SEALER is a two-component, quick drying epoxy-polyamide penetrating primer/sealer which penetrates and seals porous surfaces to improve adhesion -- excellent on concrete and pool decks. UNISEAL Primer is a one-component water based penetrating concrete sealer. jet fuel and resistant to many chemicals. NP1, NP2 & TX1 are the work horses of the industry. They have 800% elongation, 350 PSI tensile and +/-35% joint movement capability and 25 Shore-A hardness. The are rated for water immersion (with use of primer). Canadian and USDA compliant for meat and poultry areas. US Fire Rated: Passes 4 hour, 4 inch, fire and hose stream test. Low VOC Content: passes VOC for all states. Polyurethane based, UV protected and available in a wide variety of colors. NP2 can be custom color tinted and cure accelerated. Sonolastic Clear 25 has excellent adhesion with a tensile of 320 psi (very strong), 560% elongation, 50 Shore-A hardness and is suitable for 25% total joint movement (+/-12.5%). Clear 25 is excellent for any area needing long term UV resistance, such as roof tile adhesion, snow guards and any exterior or interior area you need a high performance, clear, non-staining product. It bonds readily to glass, stucco, concrete, roofing tiles, wood, most paints, and most metal surfaces. Sonolastic Clear 25 is paintable in just an hour! Sonolastic 150 with VLM technology has 1200% elongation, 220 psi tensile, 17 Shore-A hardness, extreme UV performance, USDA Food service rated, +100/-50% joint movement capability and is a Silyl-terminated polyether and available in a wide variety of colors. Quick drying and paintable. Very long lasting adhesion. Sonolastic Polysulfide Sealant is a multi-component, high-performance, low-modulus polysulfide sealant. Its elastomeric properties allow +25% joint movement. It withstands constant water immersion and will not degrade under limited chemical exposure. TF-100 has 470% elongation, 1975 psi tensile, 85-90 shore-A hardness and is a 2-component polyurea, formulated for filling saw-cut joints in concrete floors. Provides a high-load seal to resist forklift and hard wheel traffic. Also works well to fill random cracks. Ultra is a one-component, moisture-curing, aliphatic, non-sag, high strength polyurethane sealant for security and institutional uses requiring elasticity, superior color integrity, dirt pick-up resistance, resistant to mechanical cleaning and enhanced long term UV resistance. It is also excellent for pool decks, swimming pool deck-to-pool wall interfaces. Ultra is capable of withstanding ±25% movement in joints, yet has a Shore A 50 hardness for security applications (prison windows, schools, public buildings) and other areas needing a very tough tough product.